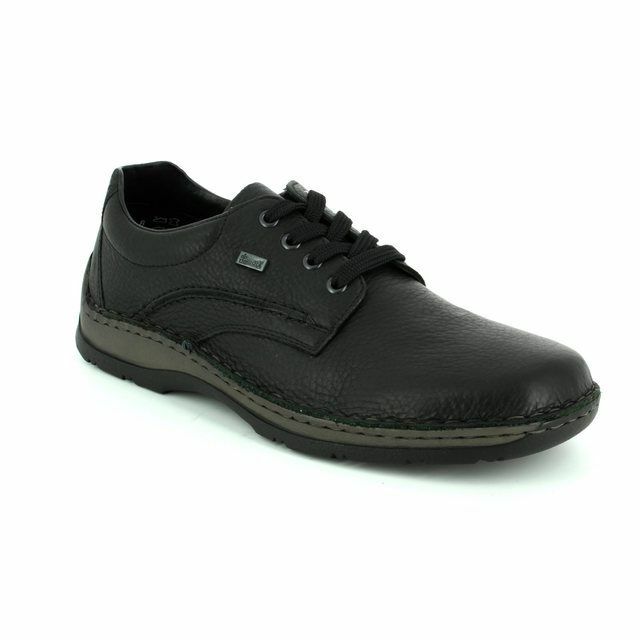 Rieker bring us 05310-00 ANTONLACE TEX. 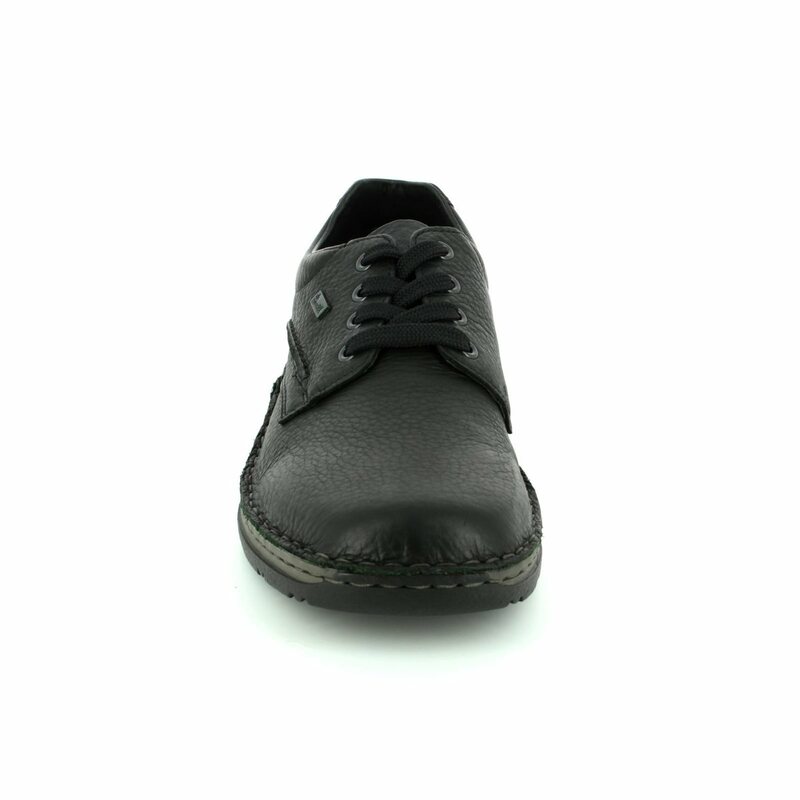 These semi formal mens shoes are the perfect addition to your wardrobe, paired with jeans for a dressed down look. 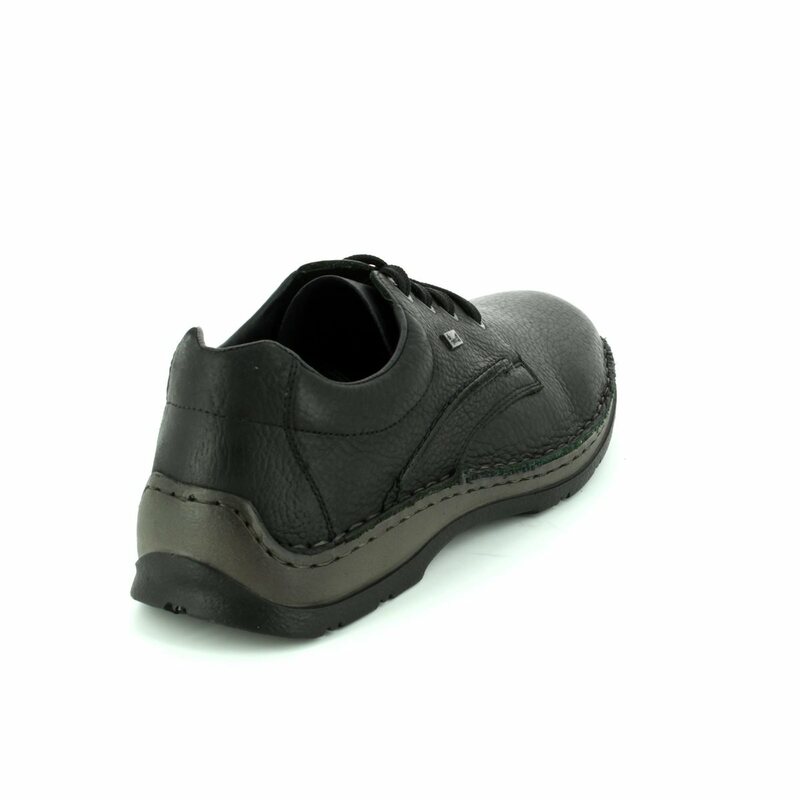 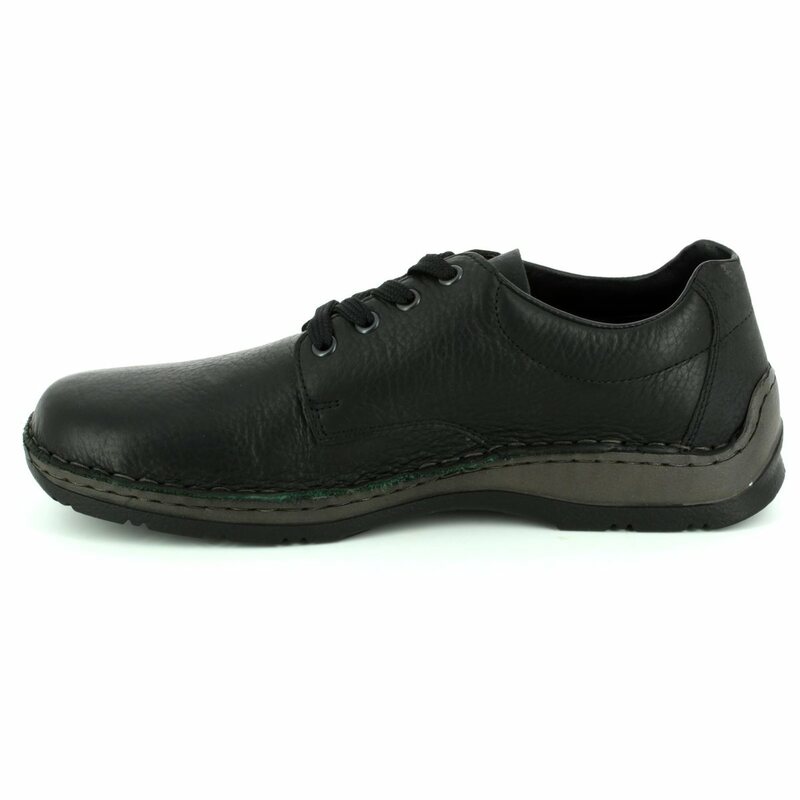 Rieker have used RiekerTex below the black leather upper to make these mens shoes water resistant. 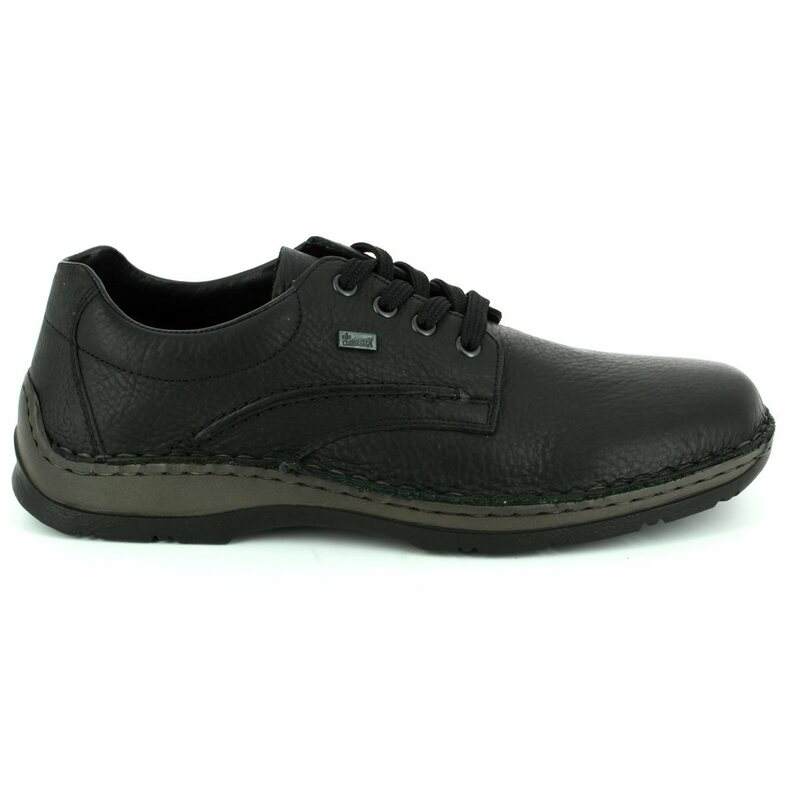 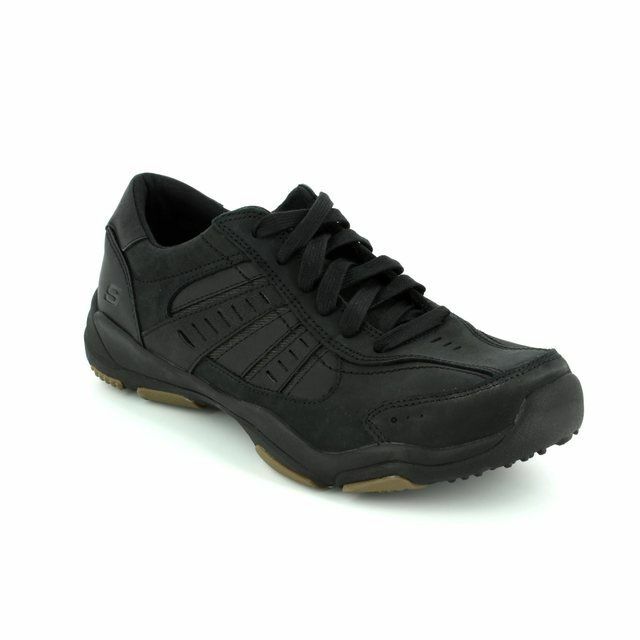 The use of the thick lace fastenings for security paired with the chunky outsole gives these shoes a more rugged vibe. 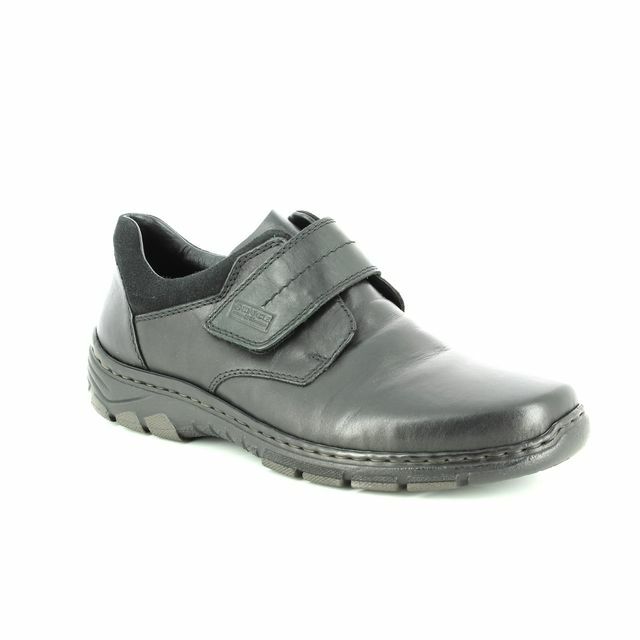 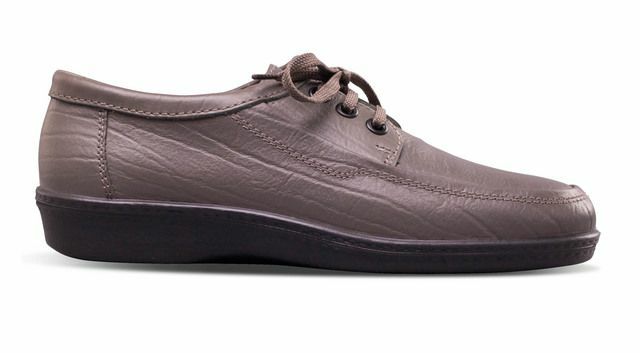 These Rieker shoes also feature a man made lining for your comfort. 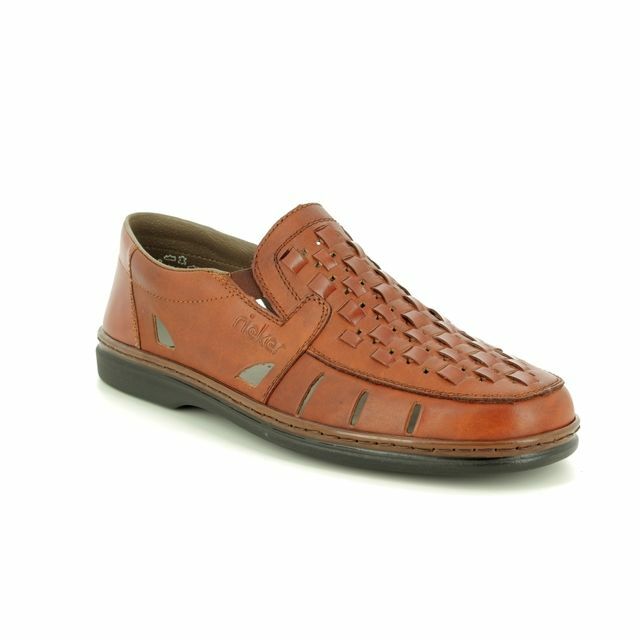 Buy your Rieker mens shoes from Begg Shoes and Bags, an official Rieker stockist.